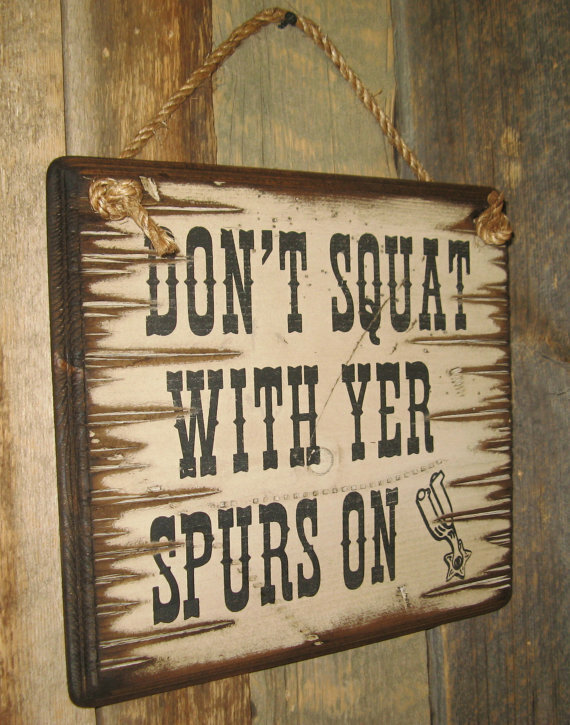 Don’t Squat With Yer Spurs On! 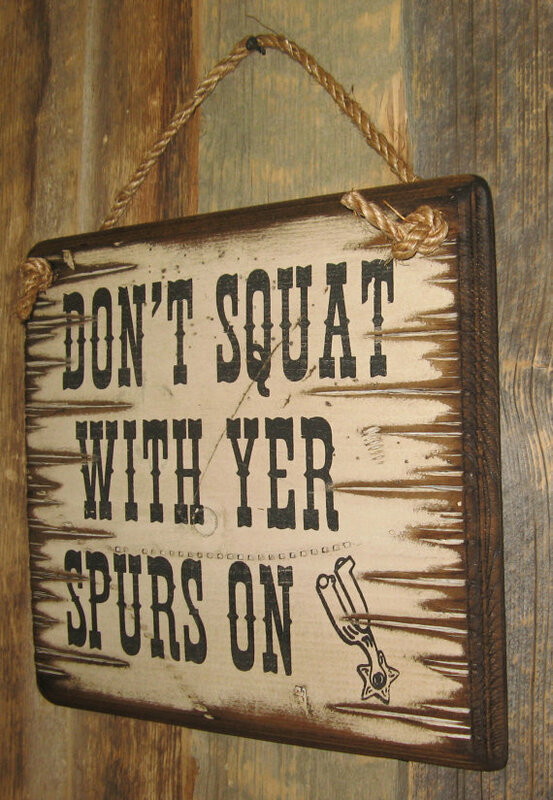 Pretty good advice for any Cowboy or Cowgirl! 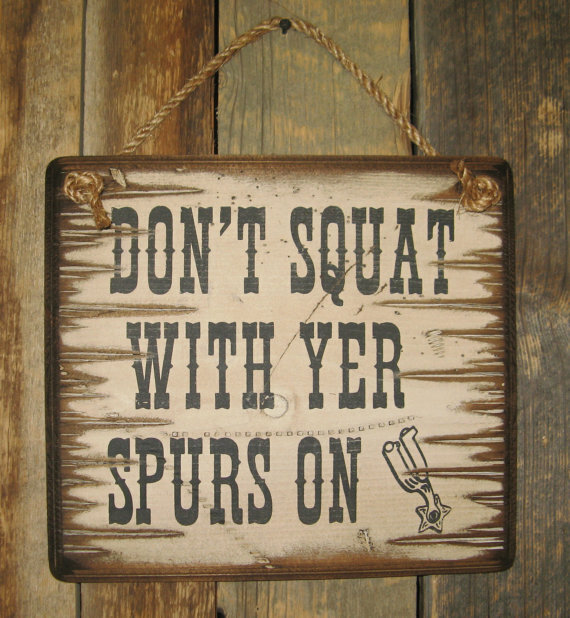 This white background sign measures 12×12 and comes with the grass rope hanger for easy hanging! Handcrafted with pride!